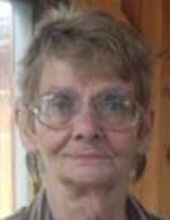 Joan R. Howard, 78, of Bradford, formerly of Hornell, NY, passed away on Thursday, December 20, 2018 at the Bradford Regional Medical Center. She was born on November 11, 1940 in Hornell, a daughter of the late Richard and Wyona Sears Howard. She received her nursing license from the St. James Hospital, Hornell and she earned her bachelor’s degree in social work. She was formerly married to the late Larry E. Hunt. She was a member of the New Life Fellowship Church, Bradford and the American Legion Auxiliary, Belmont, NY. She was employed by several hospitals as a nurse prior to becoming a social worker. As a social worker she worked in Belmont, NY Staten Island, NY and Chicago, IL. She is survived by one son, Richard Hunt of Hornell; three daughters, Laurie (Jim) Buzzard of Olean, NY, Victoria Hunt of Bradford and Susan (Bob) Bleeks of Hume, NY; two sisters, Gerri (Len) Van Skiver of Hornell and Jean Young of Hornell; nine grandchildren, Jared Hunt, Shannon Dobson, Andrea Hunt, Adam Buzzard, Michelle Fata, Karisa Bleeks, Jesse Bleeks, Katey Hunt and Ethan Hunt; fourteen great grandchildren and several nieces and nephews. In addition to her parents she was also preceded in death by one brother, Steve Howard. A celebration of Joan’s life will be celebrated at a later date. To send flowers or a remembrance gift to the family of Joan R. Howard, please visit our Tribute Store. "Email Address" would like to share the life celebration of Joan R. Howard. Click on the "link" to go to share a favorite memory or leave a condolence message for the family.